entirely see through, you get a glimpse of the world behind. Lace curtains and plants have a similar effect, letting in the light while also protecting privacy. The key point about pattern screens is their practical application, as some separation of the private and public domains is desirable in countless situations. 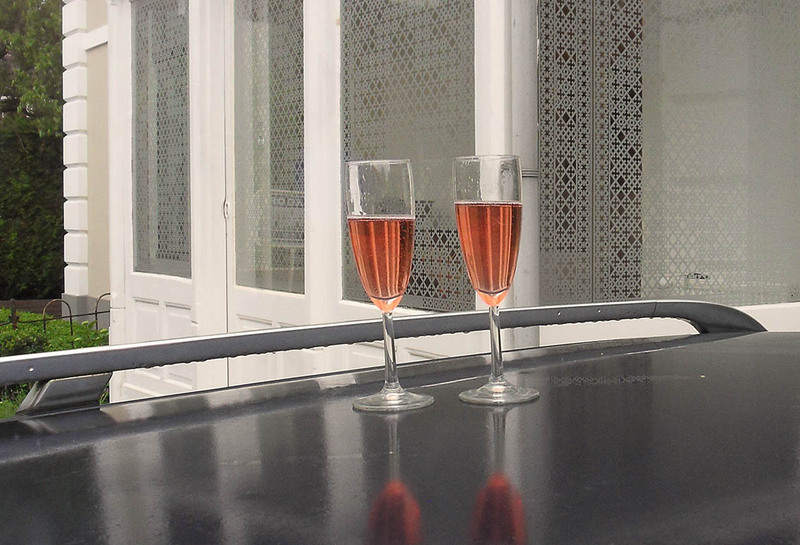 But as each situation is different, Original Pattern Screens are designed exclusively in commission. 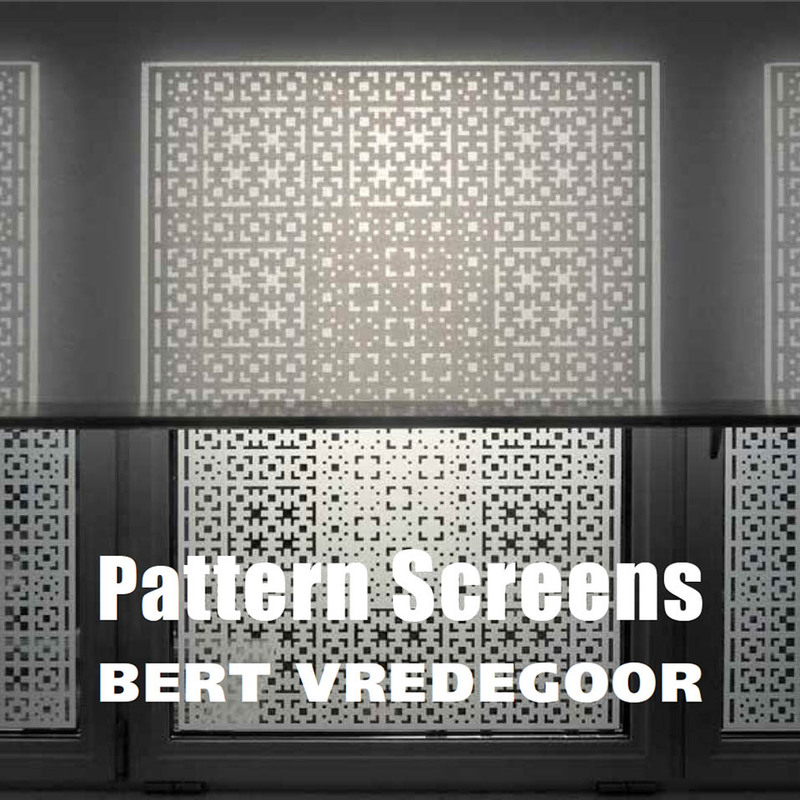 HOW IS AN ORIGINAL PATTERN SCREEN MADE? STEP 1 Photos are taken of the location and the assignment is defined. For instance, a bathroom / bedroom with a view that has to be concealed and privacy preserved. STEP 2 Designing a made-to-measure, unique pattern to provide the desired effect. STEP 3 A photo-montage which gives a clear indication of the result. 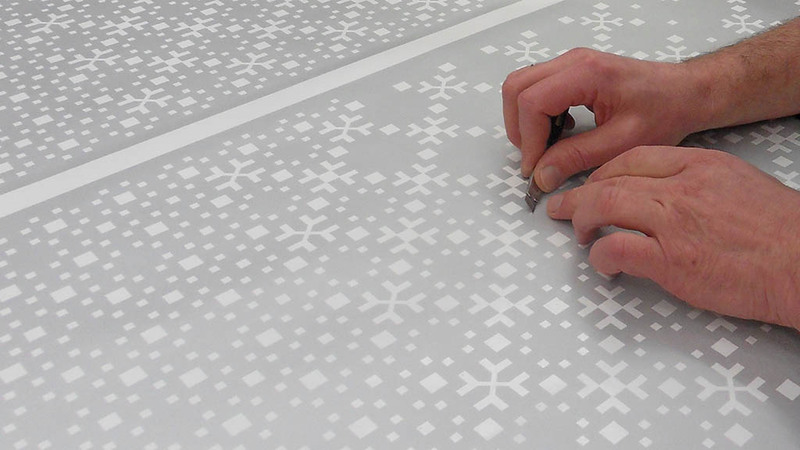 STEP 4 Manually peeling off the digitally cut pattern. STEP 5 Placing of the pattern and peeling off the application foil. Please mail for more information. The Pilgrimscode: call to prayer as silent digital Siren. 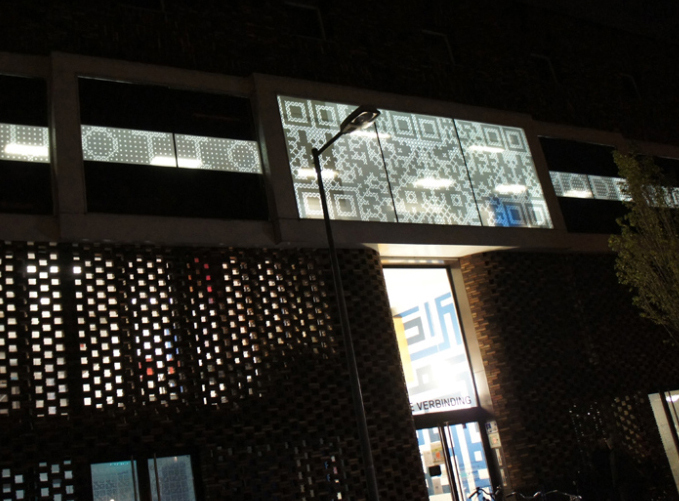 An 50 m2 office window above the entrance of two mosques was transformed into a lifesize ticker tape with a mysterious message. Mounting the printed film on the inside. ...but at night a code gradually appears which can only be deciphered by a modern pilgrim.